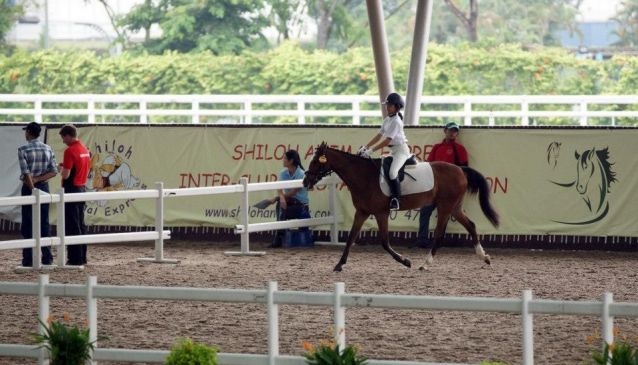 The Singapore Turf Club Riding Centre (STCRC) aims is to develop the horse riding community in Singapore and to introduce and educate the public about horses and horse care. Built right next to the Singapore Racecourse at Kranji, the STCRC provides all the equestrian services and programmes that are looking for such as Horse Lease, Horse Livery, Horse riding lessons for the public, corporate and for schools. The Centre has the most state-of-the art facilities, which include 2 world-class riding arenas, a 50m x 100m open arena and a 50m x 80m sheltered arena, classrooms to learn all about stable management and the care of horses, 40 well-trained riding ponies and horses, a café and a tack shop; 21 stables; paddocks; lockers; wash bays; A/C feed room, tack room and Singapore's unique surgical unit.